At Make Votes Matter, we’re a single issue campaign to achieve the introduction of Proportional Representation to the House of Commons. The introduction of PR will ensure that elections are truly representative of the way in which the electorate votes. Simply put, we want to make seats match votes. 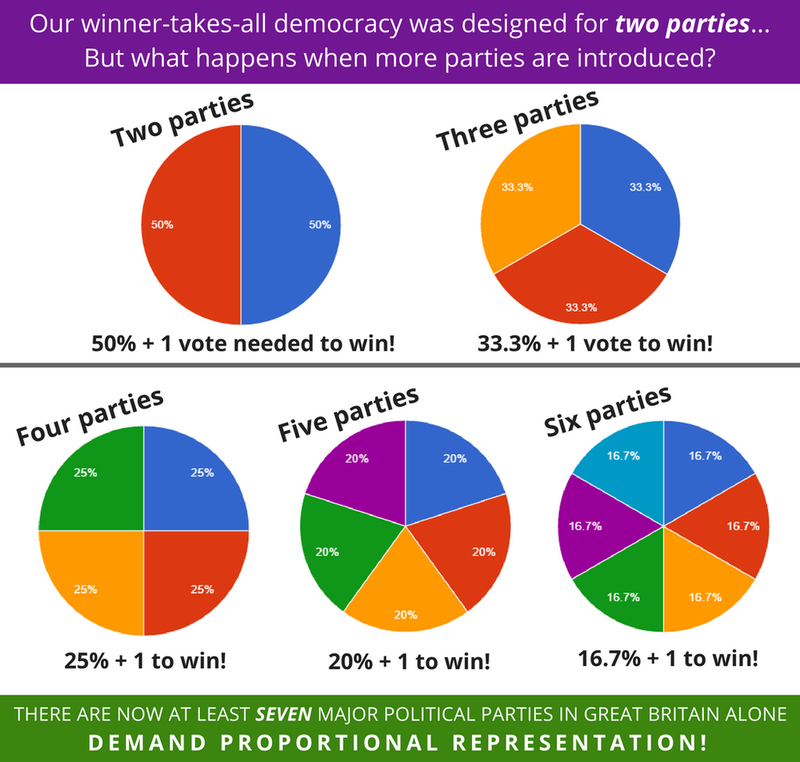 If a party receives 30% of the vote, they should receive 30% of the seats in Parliament. a method of voting by which political parties are given legislative representation in proportion to their popular vote. Our current voting system - First Past The Post - is an archaic method of conducting elections that throws up barriers to democracy such as wrong winner elections, undemocratic seat distribution, wasted votes and safe seats. FPTP is hindering our democratic process, not improving it. 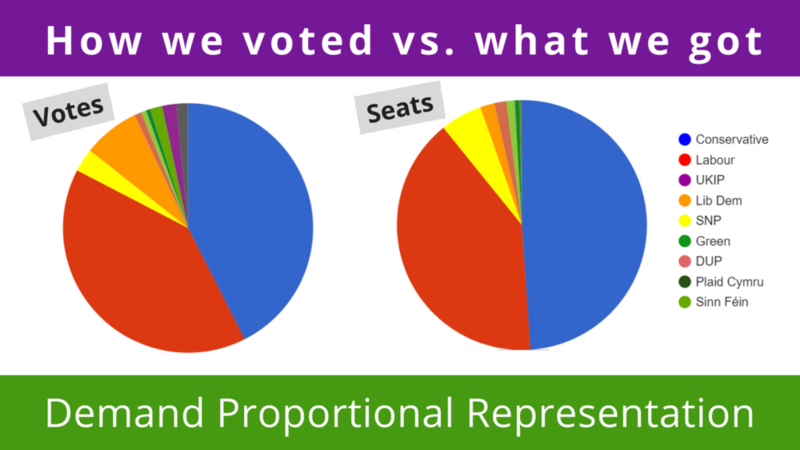 To make seats match votes, it’s imperative that we move away from our current method of electing representatives, and move to use Proportional Representation. In fact 85% of developed nations already use a system of Proportional Representation to make seats match votes, with the UK seriously lagging behind. In the UK, it’s elections to Westminster that are stuck in the past, with Northern Ireland, Wales, Scotland and the London Assembly all using various proportional systems to elect representatives. However, the movement for Proportional Representation is growing from strength to strength, and our goal of making seats match votes in Westminster is gaining traction all the time. Large sections of the public are in favour of adopting a proportional system, alongside an overwhelming majority of Labour Party voters who will be key in ensuring PR becomes Labour Party policy. The campaign is mobilising the Alliance for Proportional Representation to coordinate collaborative action to make seats match votes in Parliament. The Alliance features political parties, MPs, campaign groups, trade unions, high-profile individuals and many more from a wide cross-section of society. The Alliance has been building consensus on the ‘Good Systems Agreement’, a collaborative piece of work that all parties to the Alliance have developed. The GSA is built upon the consensus of principles in what a good voting system will look like for the UK, and how to democratically achieve such a system.